No traffic on the road, no crowds and no never-ending queues at local attractions… February is the perfect month to travel. So pack your bags, start the car and drive away from the city for this mid-term break. Here is a list of places and activities that the whole family will enjoy. Head out to the Scottish Crannog Centre from the 13th to the 17th of February and learn all about Loch Tay’s birds and wildlife. Children will also have the chance to prepare fruit kebabs for garden birds. 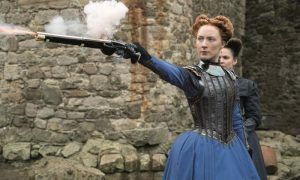 Historic Scotland has created a new trail for the fans of Mary Queen of Scots, the latest movie about the life of Mary Stuart. You can visit filming locations such as Blackness Castle, or seek out the places where the real Queen of Scots walked centuries ago. If you wish to learn more, check out one of our recent blog posts. If you are looking for a new adventure, there are numerous activity providers in the area. From kayak tours with Outdoor Explore and archery lessons with In Your Element to tree-climbing at GoApe, you will have a wide range of exciting activities to pick from for a fun family day. As the local flora slowly reawakens, gardens all over Scotland are opening their doors to the public. Take a stroll among majestic trees, let exotic flowers be the subjects of your photographs, or put your drawing skills to the test at one of these stunning locations. 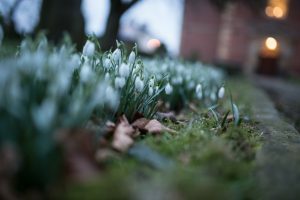 An event you do not want to miss this month is the Snowdrop Festival organised by Discover Scottish Gardens. What better way to take in stunning panoramic views than on horseback? Visit Castle Rednock, Crieff Hydro, Blair Castle, or Loch Lomond Pony Trekking for a unique experience that will make your holiday unforgettable. Make sure you do not forget your camera! When the weather is not on your side, what you need is a nice swim. Visit one of the local leisure centres or Spas, let the kids enjoy the play areas while you relax in the steam room. If you simply wish for an hour of peace at the end of your busy day, purchase our Spa Pack and treat yourself to a nice bath and a facemask in your cottage.